A place of wonder, the American Museum of Natural History is one of New York City's most iconic institutions. With so much to explore, it's hard to see everything in one day, so we asked for a little guidance. Brad Harris, Senior Director of Visitor Services at AMNH, gave us some insider tips and highlights for this can't-miss museum that will definitely help you leave with more than you came with. 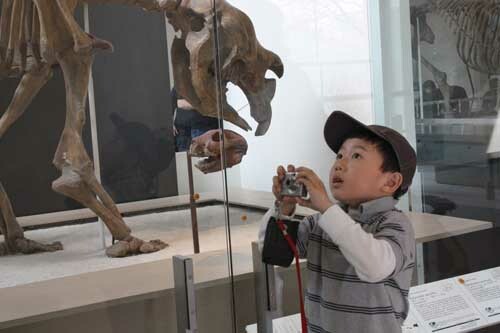 Get your cameras ready, there's much to discover at the American Museum of Natural History in New York City. What do you think would surprise people about AMNH? The size and diversity. 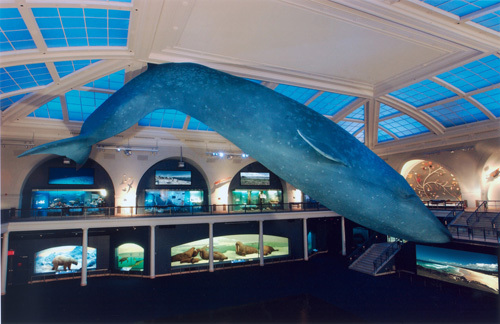 The Museum's size comprises numerous city blocks, housing approximately 27 interconnected buildings while highlighting the natural world, from the depths of the deepest ocean illustrated in the Milstein Hall of Ocean Life to the outer limits of our observable universe in the Hayden Planetarium Space Show Dark Universe in the Rose Center for Earth and Space. Best kept secret? 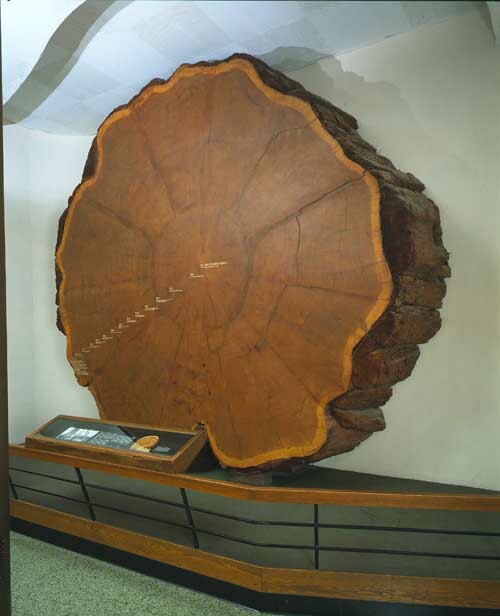 Will definitely surprise city-goers—just stand right in front of the Giant Sequoia Tree in the Hall of North American Forests and be astounded by its size and age. Most underrated exhibit? The Spitzer Hall of Human Origins—a great way to explore evolutionary similarities and differences in hominids. If you're in a hurry, where should you beeline it to? Must see! 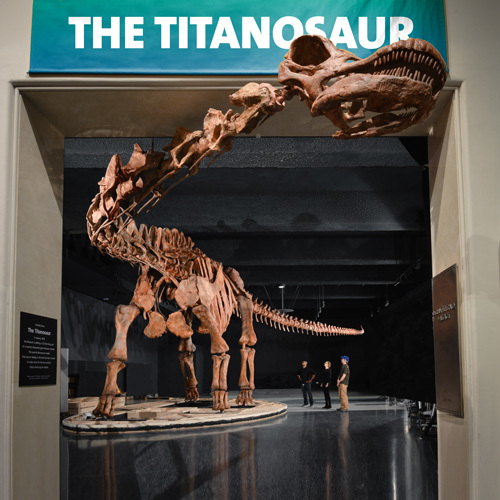 The new Titanosaur measuring a whopping 122 feet long, just massive! Be prepared to be greeted outside the entrance of the Orientation Hall on the fourth floor. If you have a little more time, see the Dark Universe Space Show narrated by the one and only Hayden Planetarium Director Neil deGrasse Tyson. If you have all day, what are your top things to see and where can you linger? Top things to see are the Dinosaur Halls on the fourth floor, Milstein Hall of Ocean Life, Akeley Hall of African Mammals, the Dark Universe Space Show in the Rose Center for Earth and Space, the Bernard Family Hall of North American Mammals, a 3D IMAX show in the LeFrak Theater, and at least one special exhibition like the Butterfly Conservatory. Best place to linger: either the Hall of Ocean Life or Hall of Gems and Minerals. Are there any reactions you've heard from guests that have really caught your attention or surprised you? Visitors love that we provide Museum floor plans in different languages. Best spot for adults? Hall of Ocean Life—always a nice photo op beneath the belly of the 94-foot-long blue whale. Best spot for kids? The Discovery Room when available. (It's a hands-on mini-museum where kids can dig for dinosaur bones, play games or find a good book.) Please check dates and times prior to your visit. Anything else you want to add? 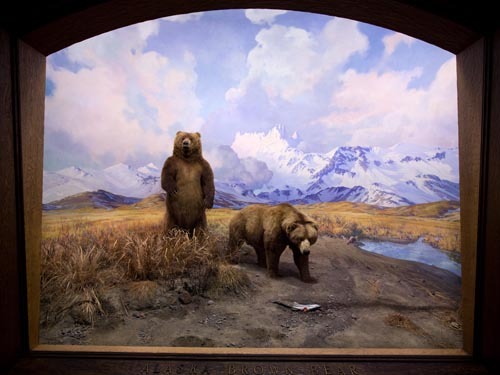 The Hall of North American Mammals is home to my favorite diorama, the Alaskan brown bear. The dioramas in that recently renovated hall really showcase this classic intersection of art and science. AMNH has multiple apps available for download. Chart your own course with the Explorer app that acts as your personal tour guide. Visit Ology, a science website from AMNH just for kids. Plan your visit by visiting the Stuff You Can See page. General admission to the museum is included with a New York CityPASS, along with admission to the Rose Center for Earth and Space, plus the Space Show or a giant screen film in 3D and 2D.